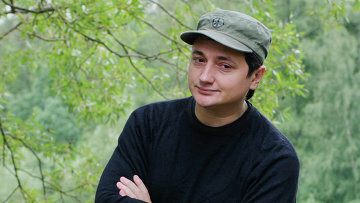 Music critic and award judge Vadim Ponomaryov, known by his professional name, Guru Ken, has thrived just on practical training - no degree or university diploma to his name. "I've learned a lot, but I don't have a complete higher education," the 43-year-old journalist told The Moscow News. "One of the places where I studied was the Shchukin Theater Institute, [and] I visited various provincial theaters as an actor, director, stagehand and even composer." It was while working at the Teatr Chikhachyova in Moscow that Ponomaryov realized he did not want to be an actor. Instead, self-education and experience in various fields - from theaters to sales to rock music - gave him all the skills he needed when he settled on a profession. Ponomaryov's first online journalistic foray was guruken.ru, where he began posting his own articles about show business and music. In 2002, when he started the site, the Russian Internet was mostly devoid of coverage about Russian music. Instead, there were many sites about Western artists who were still obscure in Russia - rather than popular taste dictating coverage, it was the people running the sites, who followed artists of narrow appeal and whom Ponomaryov calls a "fifth column." "I don't call all the journalists that, but only that clan that believes that all good music is abroad, and imposes this ridiculous point of view on readers," he said. "I think that a willful exaltation of any London basement group, along with calling [Russian rock and pop stars] Chaif or Vayenga names, for example, are hypocrisy and stupidity." The cultural bias of music journalists pushed Ponomaryov to try to fill this gap himself, building on guruken.ru and developing newsmusic.ru - his current project - in 2005. "I decided to make a portal by connecting to the big picture of the day in popular domestic music - pop or rock, whatever," he said. "If you're interested in [pop star Alla] Pugacheva, please. If you like [rock band] DDT, please." Newsmusic.ru is built around a key trend of the Russian market: its segregation by genre. According to Ponomaryov, Russian rockers hate pop music, jazz musicians despise them both, and classical fans are lost in the stream of unknown pop names. Many people can't see Pugacheva on the same page with DDT. Ponomaryov divides up his materials: rock fans go to the rock section, where there is nothing about pop music. The same happens with the annual Russian TOP award, which has been running since 2006. Newsmusic.ru originally created the prize per category, with votes for the best rock and pop music, but now runs single, non-genre votes for best album, artist, singer and group. Fans of the heavy metal band Kipelov and the pop singer Nyusha still exchange insults, but Ponomaryov feels a general understanding: it's not genre that defines who is the best singer, but instead the singer's voice and artistry. Most of the material focuses on a core list of hundreds of stars the readers want to know about. The remainder relies first on Ponomaryov and his freelancers' judgment - artists that have promise to become future stars - and second, artists and agents who pay for placement of news on the site. This is a profitable opportunity for newsmusic.ru to be promoted, since its reports are reprinted on hundreds of other sites daily. Ponomaryov has a bleak view of the industry's prospects, partly due to a lack of new musical ideas in the world. In Russia, people are losing interest in music, and less money is coming into entertainment. Many talented musicians are leaving the profession, since working in large companies - he cited Gazprom as an example - is more profitable. The decline in the industry marks a return to the environment of the early 1980s, despite the flourishing Russian music scene of the past 25 years. "Unfortunately, we are again sinking into a time of amateurism, when a musician works in the office by day, and plays in the basement by night. How can we talk about any professional development in such a situation?" Ponomaryov said. "So my prediction is that in the next decade, Russia will fall below the world's musical level even more." The professionalism of journalists is also a matter close to Ponomaryov's heart, with an emphasis on maintaining a social distance from musicians in order to remain objective. "Everything goes into a personal relationship," he said. "‘Did you write something negative about my new album? Then I'll hit you. Did you write something positive? Then I'll get you a whiskey.' This is not normal." As a result, Ponomaryov consciously keeps his contact with artists to a minimum, preferring to deal with directors and PR managers. His reputation is very high, allowing him to participate on national award juries and to write for industry-specific and news publications, such as, respectively, Muzykalnaya Zhizn and Ogonyok. He also hosts a Friday evening radio show about rock music on Komsomolskaya Pravda radio, "The Guru Ken Show." Music journalists are not rolling in money, however. Those who want a high salary go into PR or leave to write about something else. "My situation is a little different, because from the beginning I was the owner of the publication," he said. "I mean, I pay myself."